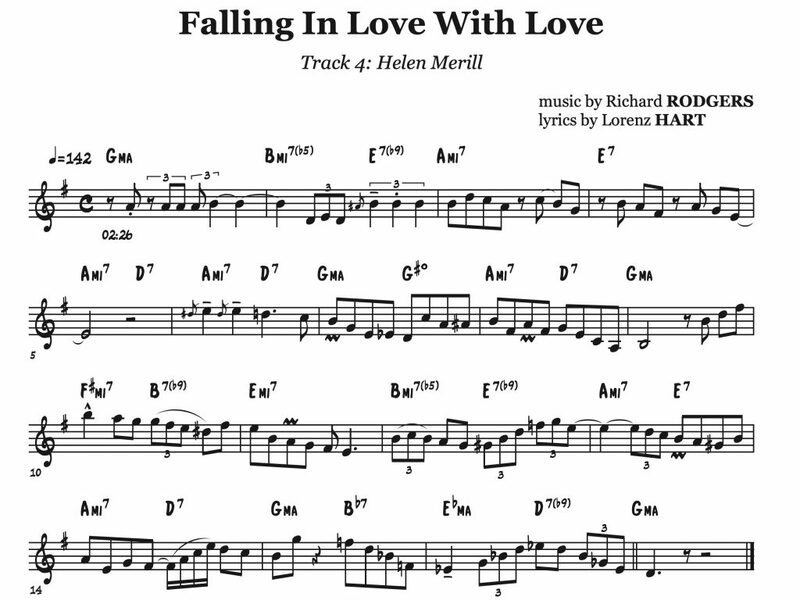 Helen Merrill’s album featuring Clifford Brown is my 20th transcription book of Clifford. This was the easiest book to transcribe but it has some great solos in in. Here’s is one of the swingers on this great album. 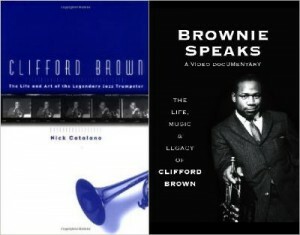 qPress will publish all my Clifford Brown transcription books, 11 of them have already been released. Clifford Brown (1930-1956) was the most brilliant trumpet player of his generation, an original and memorable composer, a dynamic stage presence and one of the authentic legends of modern jazz. Clifford Brown was born October 30, 1930 in Wilmington, Delaware. As a young high school student Brown began playing trumpet and within a very short time was active in college and other youth bands. By his late teens he had attracted the favorable attention of leading jazzmen, including fellow trumpeters Dizzy Gillespie, Miles Davis and Fats Navarro. At the end of the 40s he was studying music at Maryland University and in 1952, following recovery from a serious road accident, he made his first records with Chris Powell and Tadd Dameron. In the autumn of 1953 he was a member of the big band Lionel Hampton took to Europe. Liberally filled with precocious talent, this band attracted considerable attention during its tour. Contrary to contractual stipulations, many of the young musicians moonlighted on various recordings and Brown in particular was singled out for such sessions. Back in the USA, Brown was fired along with most of the rest of the band when Hampton learned of the records they had made. Brown then joined Art Blakey and in mid-1954 teamed up with Max Roach to form the Clifford Brown-Max Roach Quintet. The quintet was quickly recognized as one of the outstanding groups in contemporary jazz and Brown as a major trumpeter and composer. At a time when many modern jazz trumpeters sought technical expertise at the expense of tone, Brown, in common with his friend and paradigm, Navarro, had technique to spare but also developed a rich, full and frequently beautiful tone. At the same time, whether playing at scorching tempos or on languorous ballads, his range was exhaustive. He was enormously and brilliantly inventive but his search for original ideas was never executed at the expense of taste. In all his work, Brown displayed the rare combination of supreme intelligence and great emotional depths. His playing was only one aspect of his talent; he was also a fine composer, creating many works that have become modern jazz standards. Although his career was brief, Brown's influence persisted for a while in the work of Lee Morgan and throughout succeeding decades in that of Freddie Hubbard. Fortunately for jazz fans, Brown's own work persists in the form of his recordings, almost any of which can be safely recommended as outstanding examples of the very best of jazz. Indeed, all of his recordings with Roach are classics. During his remarkable three year run, Brown made more than a dozen albums among the ones on the EmArcy label are Brown & Roach Inc (1954), Study in Brown (1955), Clifford Brown With Strings(1955), A Study in Brown(1955) Clifford Brown All Stars (1956), Memorial Album (1956), Clifford Brown & Max Roach at Basin St. East (1956), and Pure Genius (1956) these are prime models of the art of jazz trumpet. There are many compilations available, as are box sets as the Complete Blue Note-Pacific Jazz (Mosaic) and the EmArcy 10 disc set Brownie: The Complete Clifford Brown. Many of his compositions became standards, including the uptempo “Daahoud,” reflective “Joy Spring”, and “Sandu.” His version of “Cherokee” though not his composition, is still considered the definitive one. Benny Golson did a memorable “I Remember Clifford,” a moving tribute to the young trumpeter, and is a perennial jazz favorite. 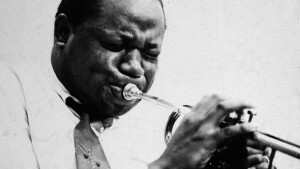 Clifford Brown had established himself as the most potent trumpeter in jazz to arrive on the scene since Dizzy Gillespie. Equally influenced (and encouraged) by Fats Navarro and Gillespie, Brown possessed both a remarkable technique for high-speed playing, with every note perfectly placed and formed, and also a beautiful lyrical ballad style. He developed an innate sense of solo form, a rich tone, and a virtuoso technique in all trumpet ranges. His style included brilliant high notes, high rhythmic detail, and a generous incorporation of grace notes and varied inflections, all of which he played with rare grace and ease. He was especially noted for the melodic qualities of his improvising, which often flowed in long phrases. His impact and influence on the jazz world is only matched by his artistry on the trumpet. On June 26th, 1956, while driving between engagements during a nationwide tour, Brown and another quintet member, pianist Richie Powell, were killed in a road accident. Clifford Brown was twenty five years old.